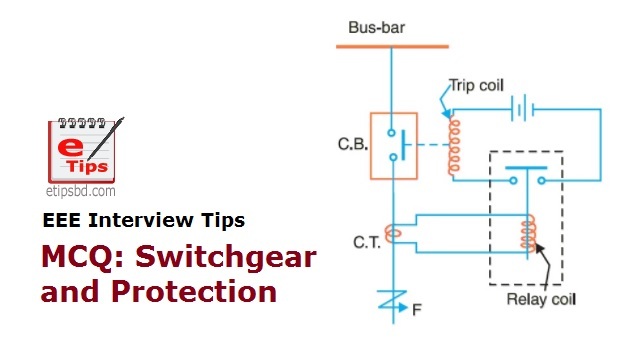 A switchgear or electrical switchgear is a generic term which includes all the switching devices associated with mainly power system protection. It also includes all devices associated with control, protecting (switches, relays, fuses or circuit breakers used to control & Protect), metering and regulating of electrical power system. Assembly of such devices in a logical manner forms a switchgear. This is a very basic definition of switchgear. 2) Bucholz relay used on..
7) Which of the following contact point metals has the highest melting point? 10) A differential relay measures the vector difference between. 13) Which of the following is not a part of the circuit breaker?